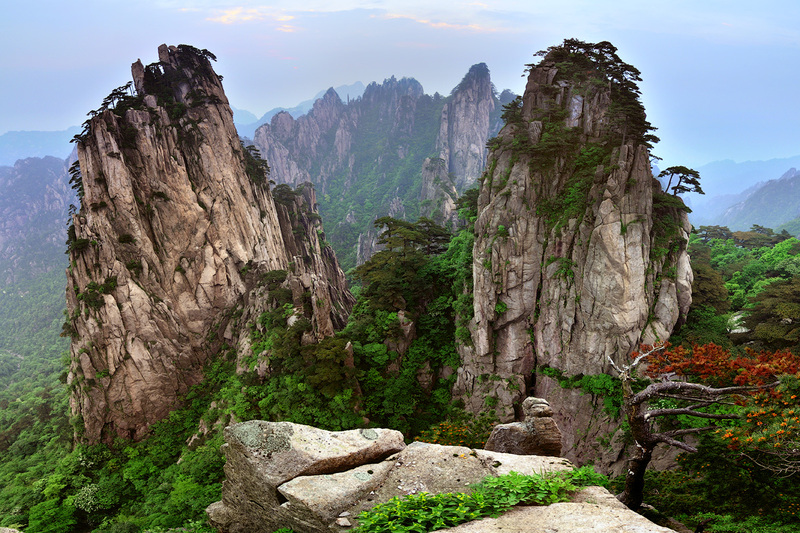 Mount Huangshan and Zhangjiajie National Park in China rank among the Great Wall and the famous Terracotta Warriors as one of China's most luring tourist attractions. 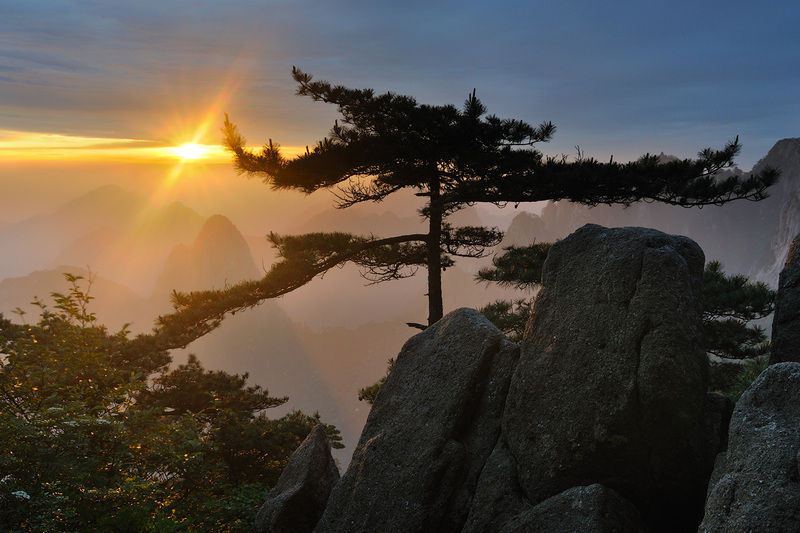 Yellow Mountain, also known as Mount Huangshan, is actually a group of granite mountains and peaks within an area of 154 square kilometres and is located in the southern part of Anhui Province. 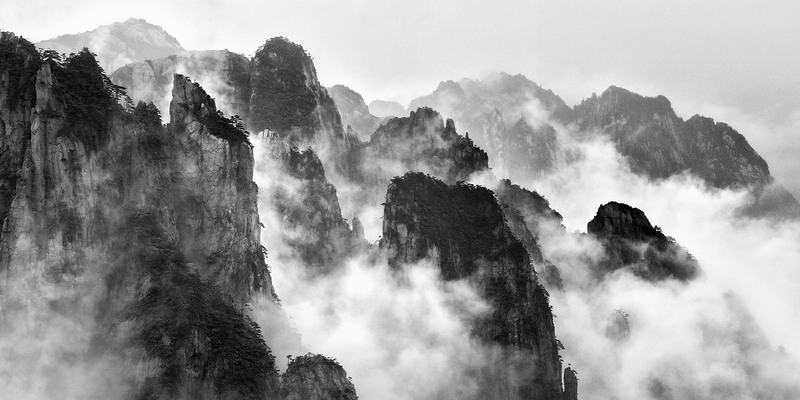 It is undoubtedly China's most celebrated and picturesque mountain for all its grandeur and beauty. 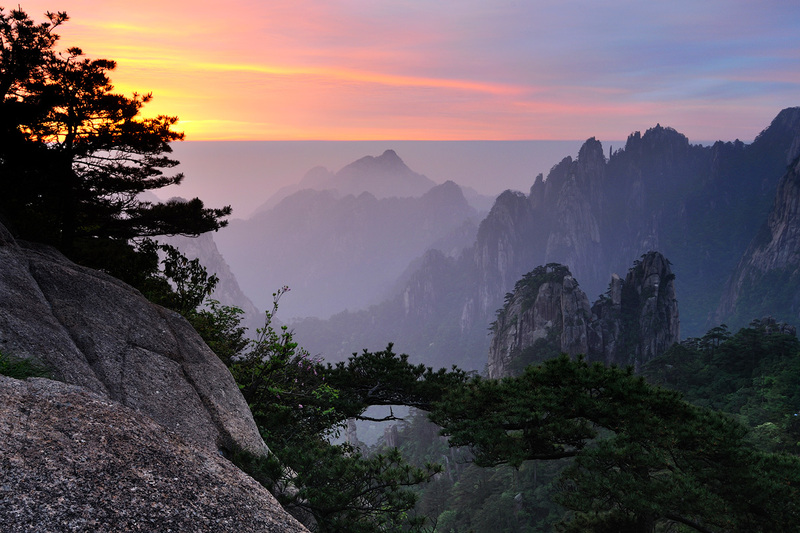 UNESCO Heritage Committee declared Yellow Mountain a World Natural and Cultural Heritage Site in 1990. 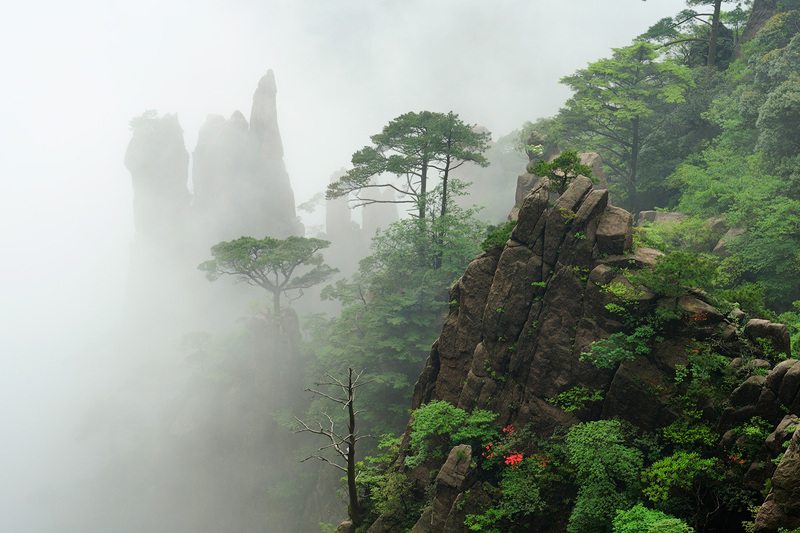 Being characterised by the four wonders, imposing peaks, spectacular rocks, odd-shaped pines, and a sea of clouds, Huangshan Mountain is one of the dream places of photography lovers. It is a must-go place for photographer if you travel to China. 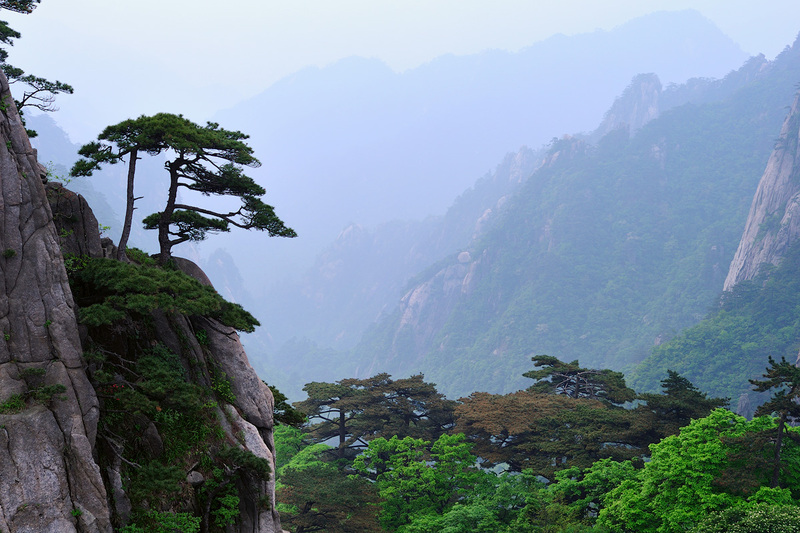 Chinese artists have often depicted the beautiful scenery of Huangshan in their paintings, songs and poetry. Why in Winter? 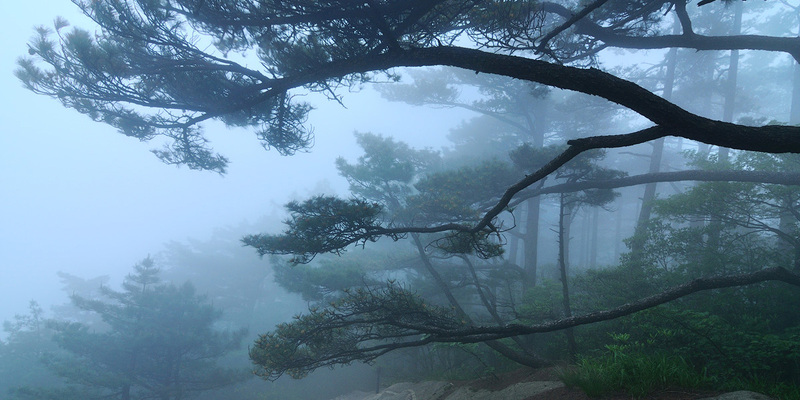 The answer is quite simple: "Four seasons are all nice at Yellow Mountain (Mount Huangshan), but the scene in winter is more attractive." 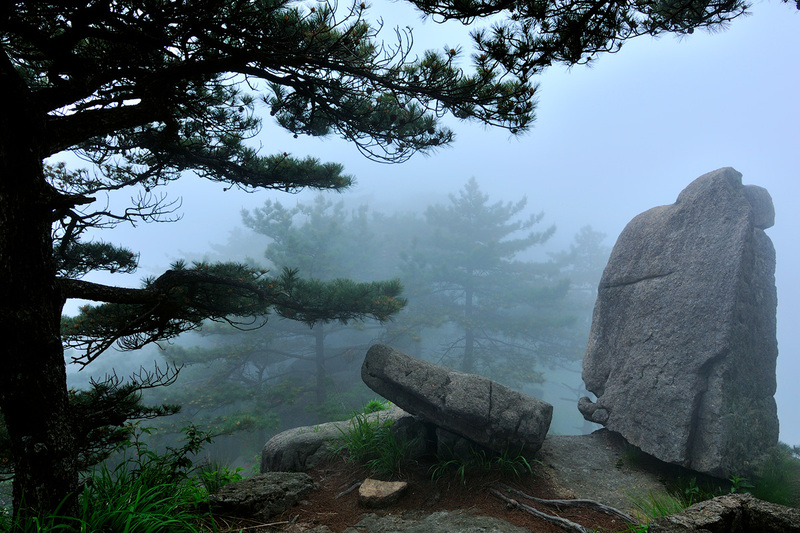 Huangshan's winter snow is renowned as the "Fifth Wonder of Huangshan Mountain". In winter, the white snow covers all peaks and valleys, putting on a costume the mountain as a silver wonderland. 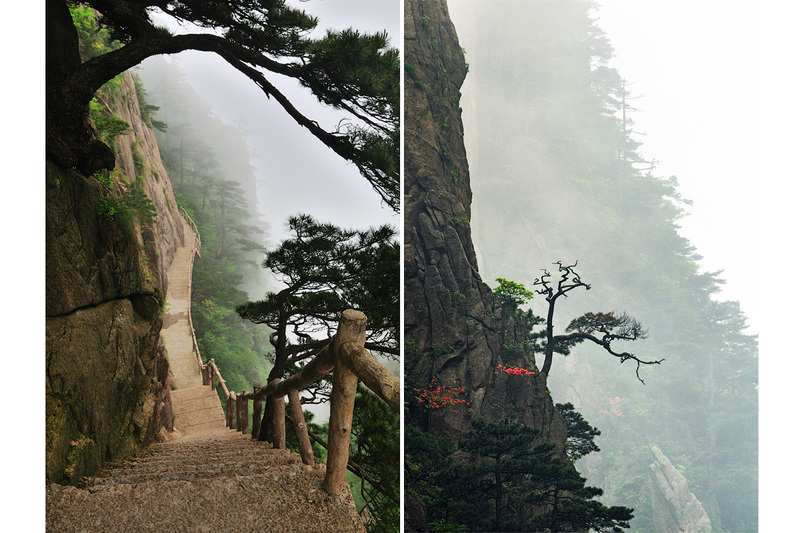 Huangshan Mountain's winter scenery begins from the end of October to the end of March the next year. 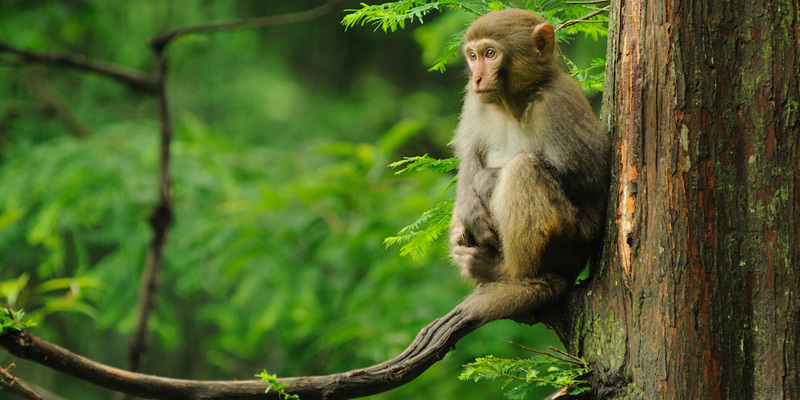 Zhangjiajie National Forest Park in China's Hunan Province is one of the most unique destinations in China that you may never have heard of. 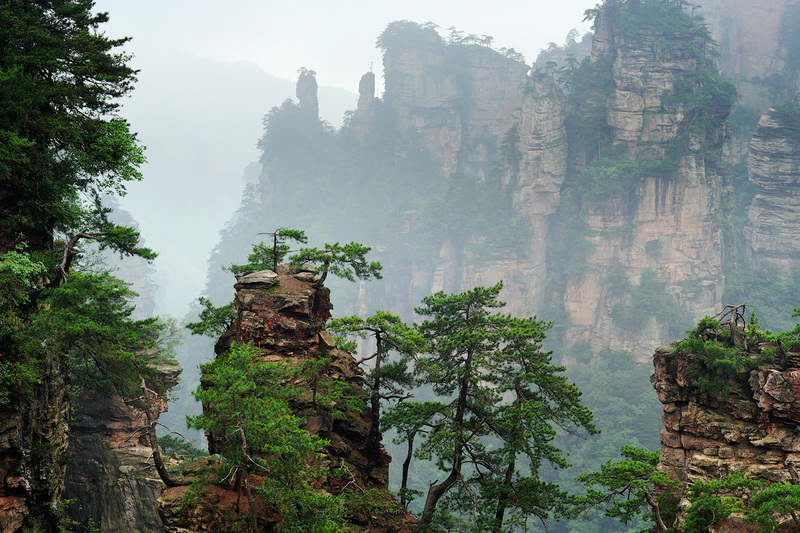 Year-round Zhangjiajie National Park is home to breathtaking natural landscapes, a variety of animals and plants, and is famous for its unique peaks, quiet valleys and elegant forests. 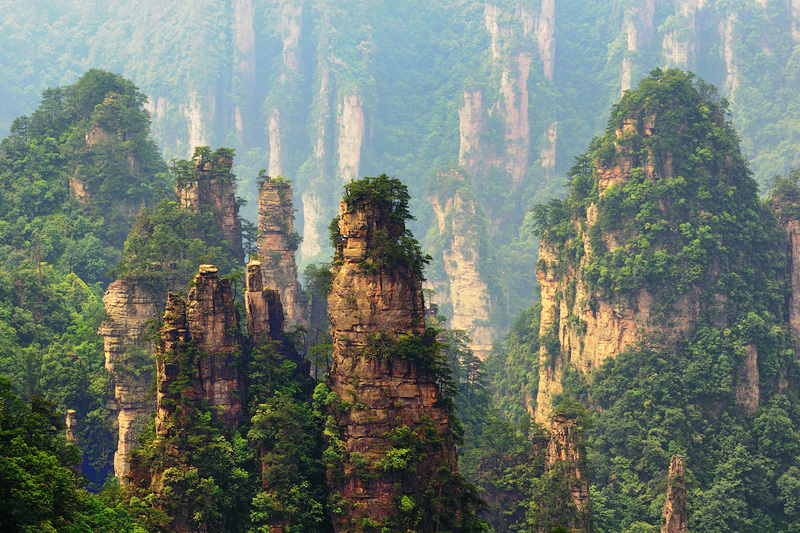 Wulingyuan in Zhangjiajie is known for its more than 3,100 towering quartz pillars including Hallelujah Mountain, made famous in James Cameron's Blockbuster film, "Avatar." 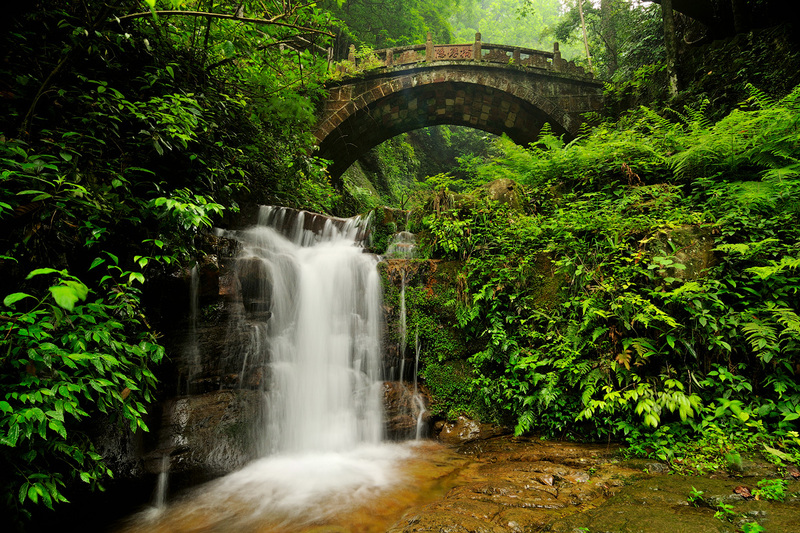 Wulingyuan was recently selected as first on a list of the "Thirteen Natural Spectacles of East Asia." 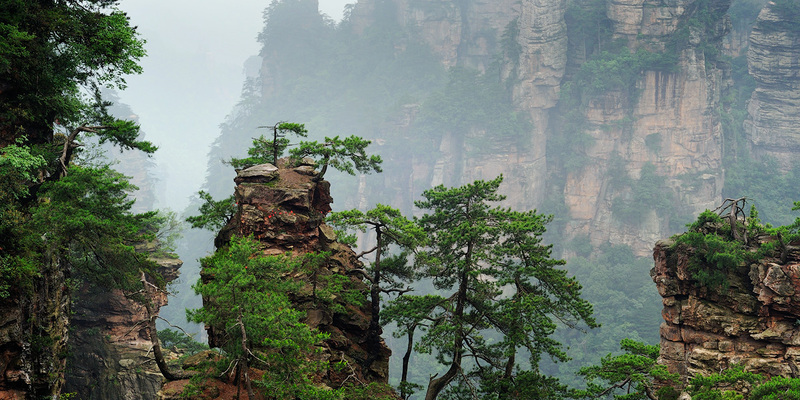 Zhangjiajie in the winter is an adventure traveler's paradise as well. Lots of spots for catching the awesome beautiful pictures in the park. Note: All images on this page were created during Spring time. In Winter all mountains are covered in snow which gives additional beauty. This is an informal course where everyone can share and participate - shoot by day, process by night. The focus is to be in the right place at the right time and share a passion for capturing beautiful images together. 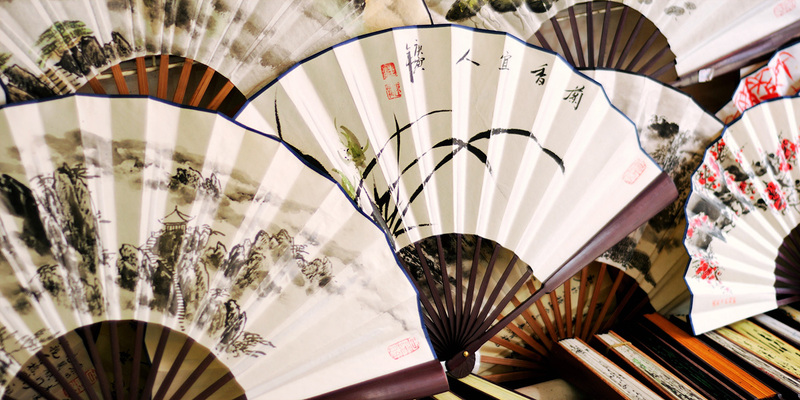 We will help you spend every precious day in China with maximum return - bring many great photos and memories. 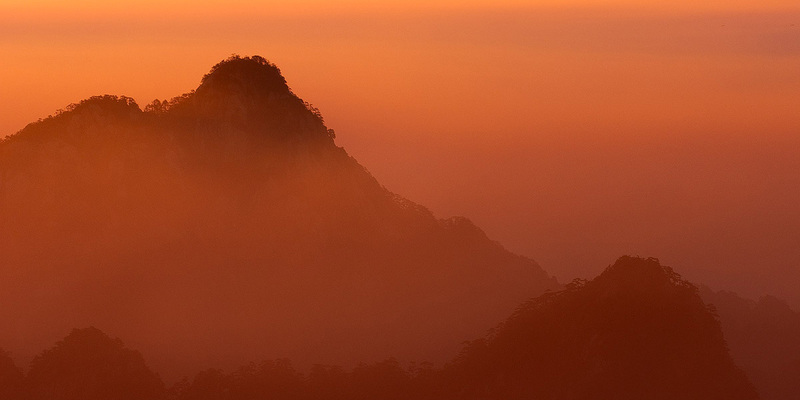 Shoot sunrise and sunsets from Bright Top, Flying-Over Rock, Cloud-Dispelling Pavilion, Lion Peak, Xihai Grand Canyon and other locations. Photograph wide-angle panoramas of the sea of clouds in West Sea Grand Canyon. 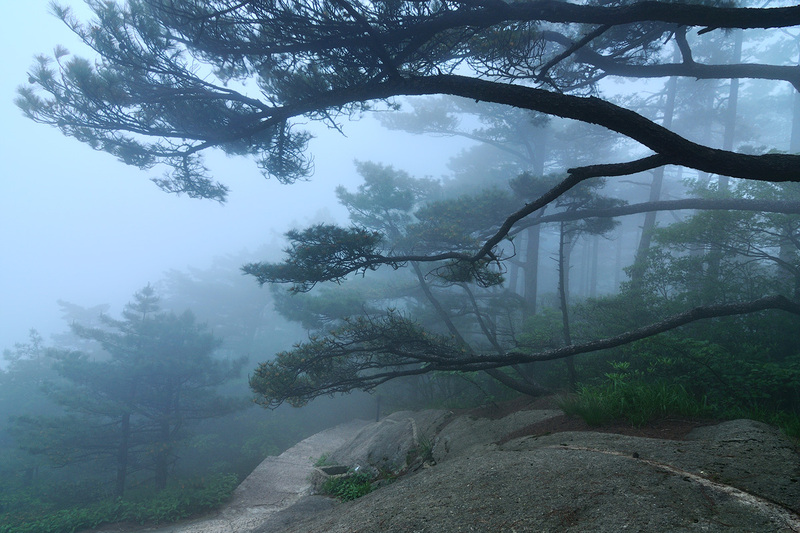 See ancient twisted pine trees. Visit charming ancient villages nearby. 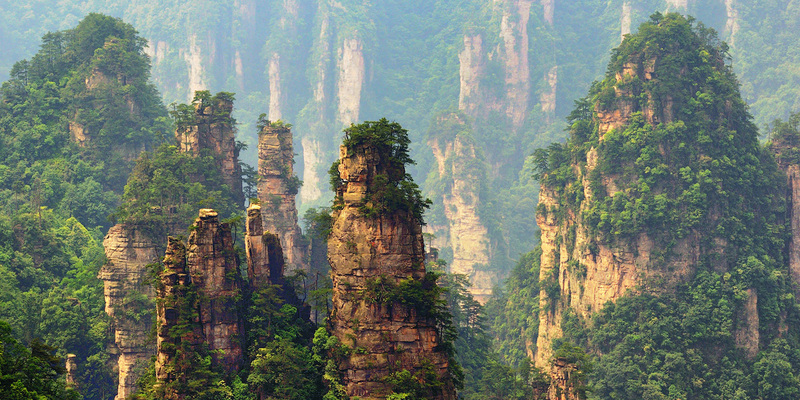 Shoot the original of Hallelujah Mountains in the film of Avatar, drew inspiration for the floating rocks from the quartz-sandstone pillars. Day 1. Arrive in Shanghai and heading to hotel. 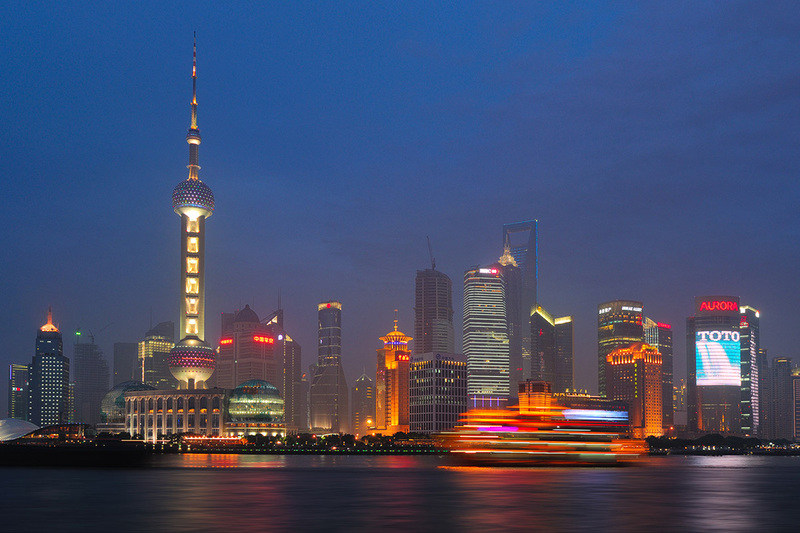 Once everyone is settled in we'll catch up for a briefing to meet and greet everyone, discuss itinerary and shooting locations before catching our first sunset and night shoot in Shanghai. Day 2. After breakfast at the hotel we'll hit the road and head off on the long drive to Huangshan National Park. We'll take a cable car to get to the mountains and then have a short walk to the hotel. Once everyone is settled we'll explore locations nearby and then sunset shooting. Day 3-5. Exploring interresting and beautiful locations around the park, shooting sunrises and sunsets, discussing captured images. Day 6. After sunrise session and breakfast we are leaving the hotel, taking the cable car and heading to Shanghai and after that we are leaving Shanghai for Zhangjiajie town by air. Staying at the hotel in the town. Day 7. After breakfast at the hotel we'll move to the hotel inside the Zhangjiajie National Park, exploring locations nearby and then shooting sunset. Day 8-10. Exploring interresting and beautiful locations around the park, shooting sunrises and sunsets, discussing captured images. Day 11. Shooting sunrise, having breakfast and then having daytime photo walk. After that leaving hotel and heading to the airport and flying back to Shanghai. Day 12. Laving China and getting back home. 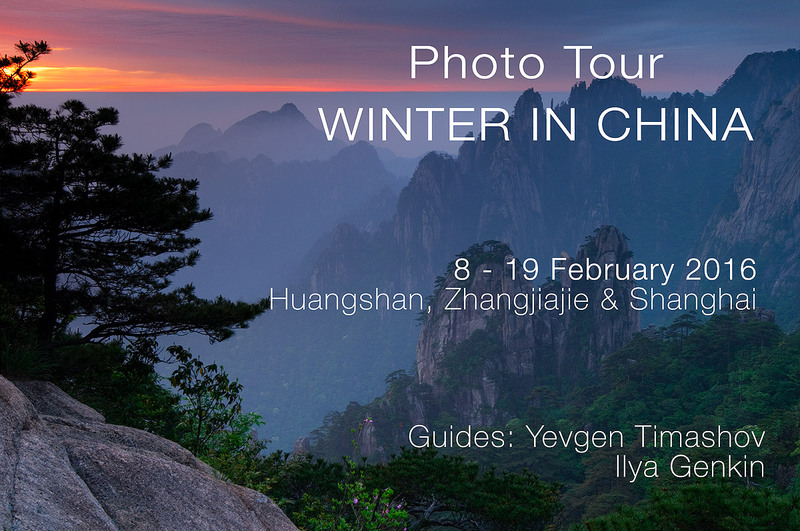 Due to the geographical location of China's mountains, the weather can be extremely changeable and will play a major role on our tour. For this reasons, this photo tour itinerary is flexible and fully subject to change. We will continually be assessing the weather conditions on daily basis and alter the tour to the benefits of the photography. For instance, should the weather be too bright and sunny for the shoot in woods, we may change the location and leave the woods for the overcast day if possible. These possible changes will be made by us in the mornings and during the day's development. Many locations on our tour offer other shooting options, therefore it won't be difficult to come up with alternative location. Some sunrises are also subject to changes, allowing clients to decide to skip should they be tired but otherwise we will be attempting to photograph during every available sunset and sunrise. Sessions on RAW workflow, Adobe Lightroom and Photoshop will be inserted into evenings or into time windows when suitable. 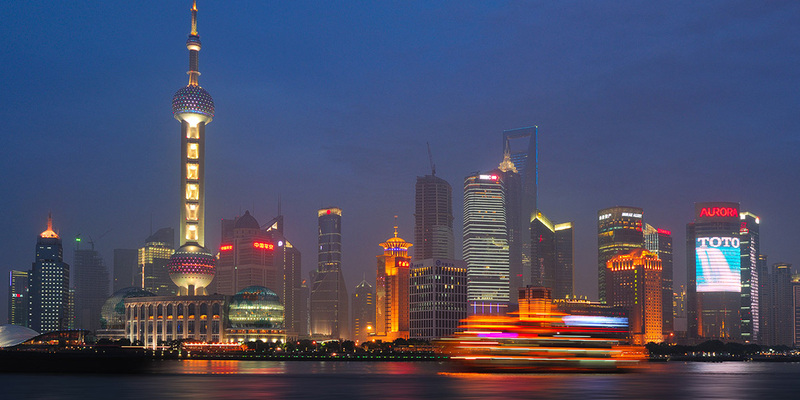 We include comfortable 3/4 star twin share accommodation in Shanghai and Huangshan. 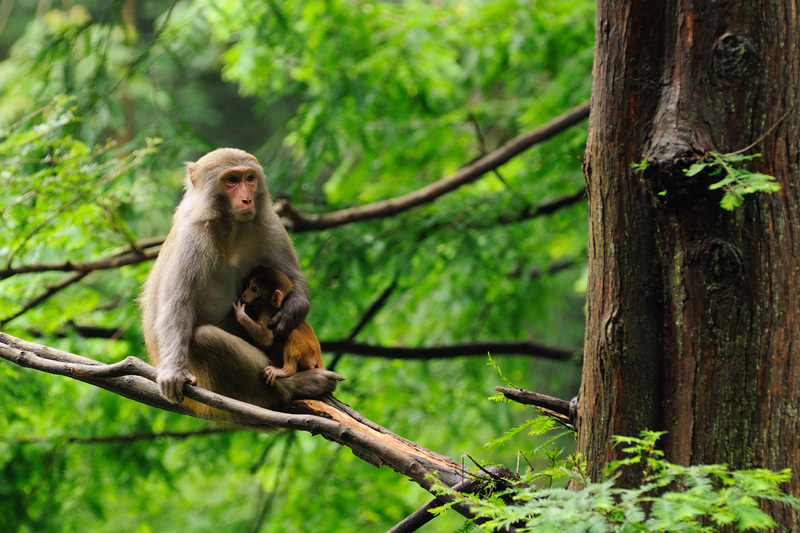 In Zhangjiajie National Park we will stay a hostel right in the middle of the park. This is the one possible way to stay overnight in the park and get to the sunrise and sunset locations. 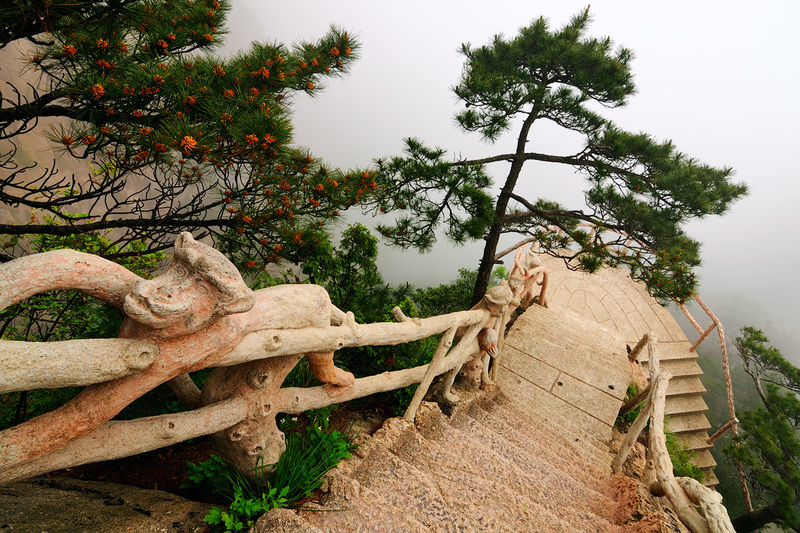 For travelling between Shanghai and Huangshan we will be using a private minibus service. Travle time is around 5 hours. 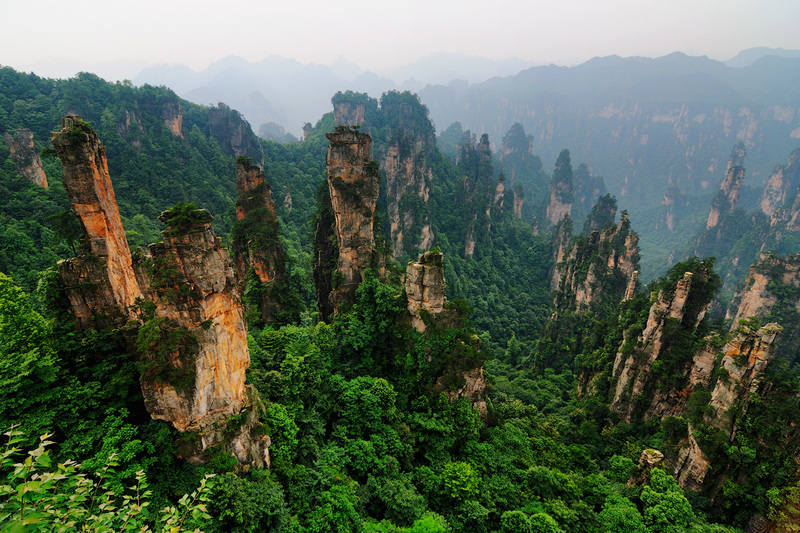 We will fly by air to and from Zhangjiajie. 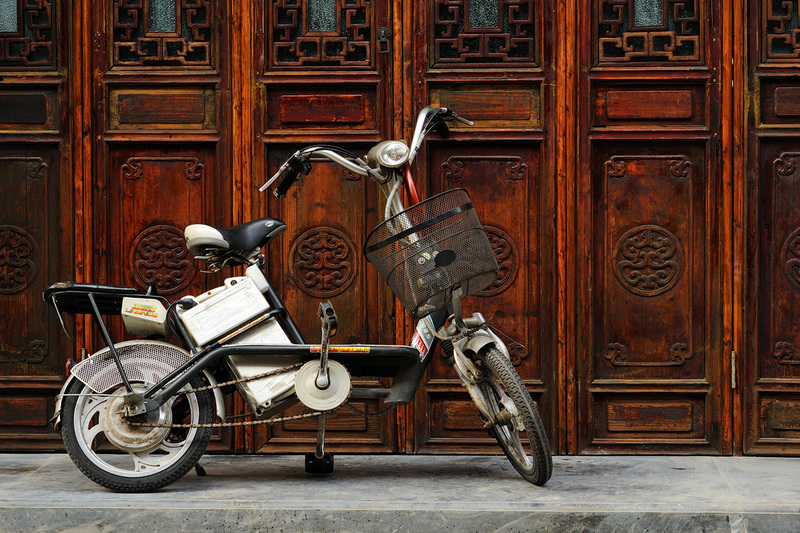 All transportation expenses during photo tour are included in the tour price. To reserve your place in the tour, please send us request. After confirmation of your place in tour/workshop, non-refundable deposit is required within 5 days of your booking confirmation. The balance must be paid in full no later then 90 days prior to the scheduled tour/workshop commencement date. The deposit and balance payments may be made via internet banking, through PayPal, using credit/debit card or by money transfer onto our bank account. We reserve the right to cancel your booking if the deposit or full payment is not received by due date, as if in writing, and the cancellation charges shall be applied. If possible, laptop loaded with latest version of Lightroom or Photoshop. Photographers of all skill levels, from beginners to professionals will benefit from our tour. Beginner needs to have a good working knowledge of their own camera system to benefit the most from this tour. However, your guides will be available to help with your camera and gear. Professionals will benefit since we take care of the logistics and bring them to the best locations straight away so they can purely concentrate on shooting, rather then waisting time scouting. This tour is designed to suit broad range of fitness levels. However, some longer walks (2-4 hrs return) over uneven, uphill and rugged terrain may be required on this tour. Therefore, a moderate level of fitness is recommended, as well as the ability to carry your own small back pack with extra clothing, snacks and camera equipment. Please, discuss this with us if you have any concerns. 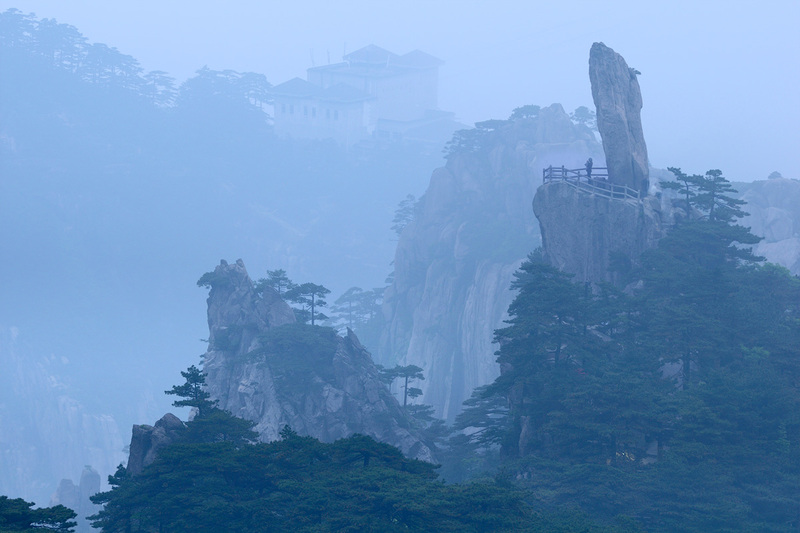 February is the second coldest month in Huangshan, and rain and snow are both possible. The average daily high temperature is 2 °C (36 °F), and the average nightly low temperature is -4 °C (25 °F), in the city. The three 1,800m+ peaks are about 1,500 meters higher than the city. This means the tops are about 9 °C (16 °F) colder. The average precipitation is 112 mm, and it snows or rains half the days of the month. We recommend a good winter jacket, but no need for a down jacket. A simple winter jacket to keep the snow off, and similar pants, snow boots, gloves and a hat are a must. Gaitors would be at your discretion. No need for snowshoes (as in the traditional sense), as we won't be trekking anywhere like that. Anti-slip walking boots are important. We recommend using crampons when icy. These can be rented at the base of the mountains. If you have a fondness for trekking poles/hiking sticks that have snow baskets, you will find them very handy, but certainly not necessary. And one last thing on clothing, remember that you will be carrying camera gear that will be heavy. You will get hot quickly as we go from location to location. Dressing in layers is highly recommended! One thing you might consider is an umbrella. Very handy to hold over you and the camera if it is snowing! Travel insurance is a compulsory part of booking any of our landscape photography workshops. Please purchase it for the tour dates from your preferred travel insurance company or as us so we can assist you with travel insurance should you need it. While these descriptions represent the photo tour's planned itinerary, we reserve the right to revise it without notice as we see fit. Details on this page are also subject to change without notice. We reserve the right to cancel the tour if the minimum number of participants is not met. And while we don't anticipate this happening, we reserve the right to adjust the fees for this photo tour due to factors outside of our control, such as fluctuations in currency rates, political or governmental action, new applicable taxes, and such related issues. Please do not purchase air travel before confirming with us.